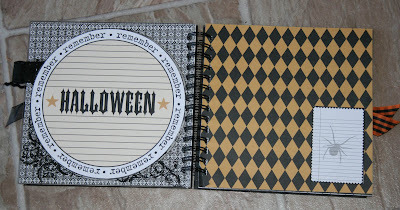 So much to blog about (sales, new products) before we head off Trick or Treating! Happy Halloween! I want to get this posted before the kids come home from school all sugared up and ready to do some serious Trick or Treating! I'll be escorting a cowardly lion (Xan) and a Star Wars Storm Trooper (Will) up and down the streets of our neighborhood, collecting all the tasty goodness we can! Meanwhile, I am still plugging away now that I am back from Biloxi (who would have thought a year ago that I would have gone to BILOXI for some R and R?) with the DH, having had our couples massage and played a few adult games in the casino. We had a great 48 hours! Kits2Remember is having a SALE, in case you hadn't seen or heard! In this day and age of gift-card giving for the holidays, I know how fun and special it can be to give hand-made creations to friends and family. Gifts from the heart are all the rage right now and I want to help you stretch your gift-giving budget. Plus, I know it can take time to find the time to create hand-made gifts, so I thought I'd have a holiday sale a little early this year. 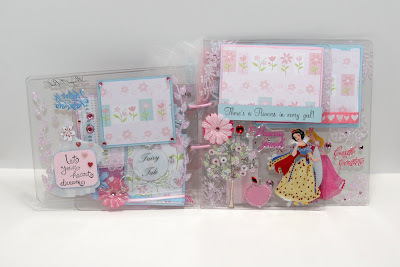 A large selection of our project kits are 50 percent off! Some of the kits we have less than three of, so be sure to order early for the best selection! We've already sold out of our "My Goals" kit, so don't delay! This sale includes the remaining Season 1 Krew Kits, too! and more! Plus, you can use the discount to stock up on your favorites, such as acrylic panels, o-wire, and the great new magnetic metal panels! Butterfly-filled Krew Kit #8 is now shipping. 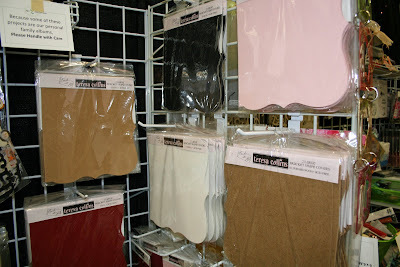 We've just gotten a bunch more of of our "klear" and "raw" staples in, so we have a good supply of almost all the sizes. Need ideas? We've got 'em! Check out our sites for some fresh inspiration: The K2R Design Krew blog, (the Krew has been putting up new ideas almost daily! 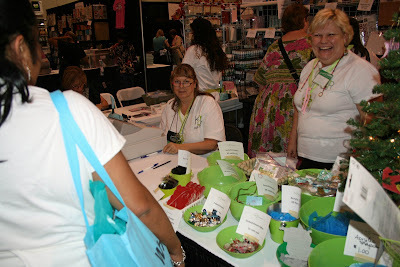 ), here on my blog and on the Kits2Remember idea site (soon to be updated with all the samples from Expo! And, as always, thank you for your support. Without you, K2R wouldn't be what it is today. 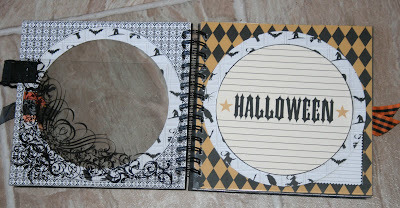 We found more Halloween Kits! 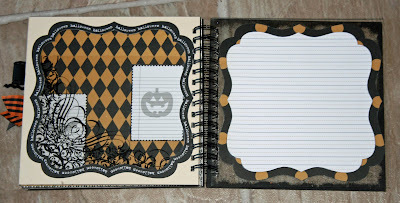 This Halloween album was an impromptu kit created due to popular demand., I had only made it as a sample of what could be done with Teresa Collins' new 8 x 8 paper line and so many people asked if it was a kit at the Sacramento Scrapbook Expo,m that I threw some together for the Ontario Scrapbook Expo the next weekend and they sold out! So, if you didn't get a chance to get yours at the event, you can hurry and gets yours online now. I only have five of them, so order fast, LOL. As for those of you who purchased it, here are the photos I promised! Now, I am off for a couple days of R & R with the hubby. I'll be back on Friday, so I'll be answer emails then. Have a great week! ... and of the booth this evening. Well, maybe not the entire booth, but quite a bit of it! This is K2R's first pallet of scrap stuff. 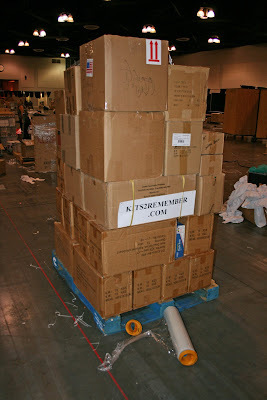 I don't think you are a true Expo vendor until you have loaded your first pallet to be trucked across country... LOL! These boxes are headed to the Tampa Scrapbook Expo the first weekend in December. BTW, if you live in the Tampa area and are interested in being a volunteer Krew member, email me (jessica@kits2remember.com) for details. And speaking of the volunteer Krew, today's ladies were exceptional! My sincerest gratitude goes out to Kathi, Jenn, Cheryl, Sandie, Andrea, Tanya, JoAnna, and, of course, my faithful cashier, my Mom, Nancy. You guys totally rock! Thank you! As a side note, I want to publicly thank Judy, the owner of Scrapyard 329. She was a HUGE help to me this week and I can't thank her enough for her generosity! 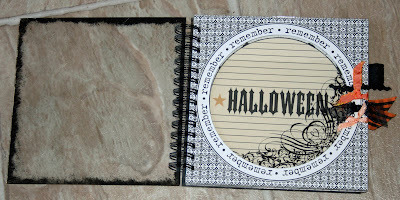 Also, I know a number of you purchased the 8 x 8 Halloween acrylic album kit. Those photos and instructions will be available soon! And now I am off to bed. I am planning to sleep in a bit late tomorrow and then I fly home to Pensacola Monday. Thanks to everyone for making these few weeks in California so great! The message board RAK winner this week is Robin! Robin, the 10th new message on the board, chosen by Random.org, is the lucky lady getting a sampling of acrylic, chipboard and metal! 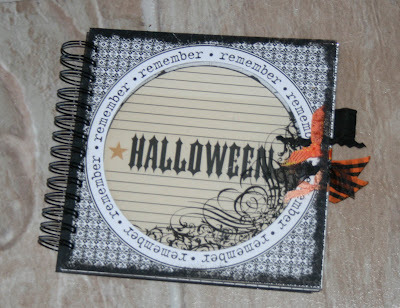 Robin, email me with your mailing address (jessica@kits2remember.com) and I will ship that right out to you. Congratulations! Whew! Having a booth at the front of the Expo hall means you are constantly busy... but that's a good thing! We took a few photos when we had a moment of down time, but there weren't many! 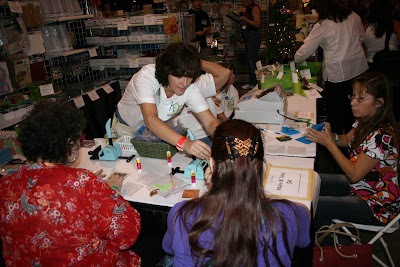 Here's a shot of volunteer Krew member Carolyn helping out at the acrylic album make and take. A big thank you goes out to my Krew who gave it their all today: Kathi, Jenn, Monica, Inez, Annabelle, Sandie, Cheryl, Carolyn and Tiffany. I really appreciate your help today! The Krew thought it would be funny to get a picture of me signing an autograph in the "Bound 2 Bind," Bind-it-All idea book I am published in... my first paparazzi attack! They made me promise to put it on the blog (plus my DH is whining that he hasn't seen me in nearly three weeks - here ya go, honey), so here it is. 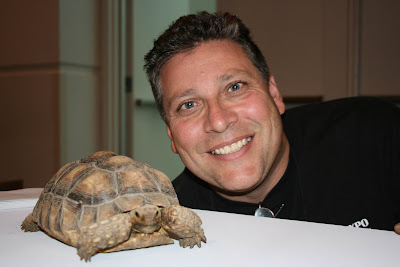 For those of you who liked the post about my (parents') tortoises, here is a junior member of the species and Scrapbook Expo mascot - Big Eddie. Big Eddie, or Edwina, officially, is proudly owned by Dave of Scrapbook Expo. She is a mere two years old, so she still has some growing up to do before she can live up to the likes of 7-year-old Pyramid and Papyrus living it up in the 'rents backyard! 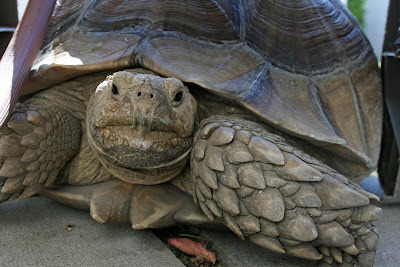 But she is still cute ... well, as cute as a tortoise can be! Looking forward to tomorrow's Expo... be sure to stop by the booth to say hi! Well, I am sitting here in my hotel room, clicking away on my laptop, which is on a fabulous MyPlace laptop table thingie that sits over my lap. My friend and Krew member, Kathi, gave it to me this evening and I already love it. Thanks, woman! As for the Ontario Expo, our booth is all set up! 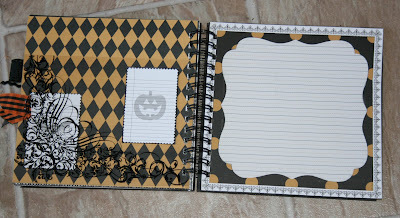 I have partnered with Vesta at Scrapbook Boulevard in Victorville this time, and we are doing two great make and takes! 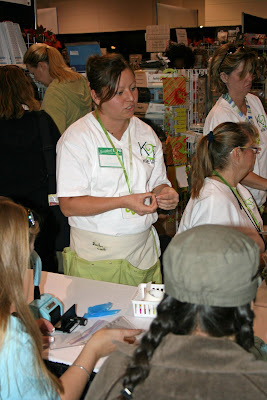 On one side of the booth, $4 you can use the Bind-it-All to punch and wire-bind a 4x4 Kits2Remember acrylic mini book. So, you get to play with the Bind-it-All and acrylic all in one sitting! 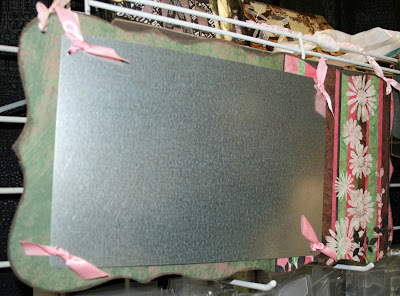 And then, on the other end of the booth, you can create a cute 6 x 6 magnetic message board, complete with Kits2Remember metal panels, Prima flowers spritzed with Glimmer Mist and May Arts ribbon. Wow! And speaking of Prima, we are delighted that we will have special guests from Prima stopping by the booth for some fun and surprises! Adam will be by and Friday and Prima Donna Salazar will be stopping by Saturday! Can't wait to see what they have in store for us! 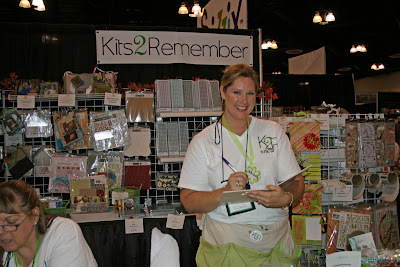 K2R will also have some new kits available, including some of the class kits from the "Thanks" 6 x 6 acrylic album and "Today Is" perpetual interactive calendar classes. 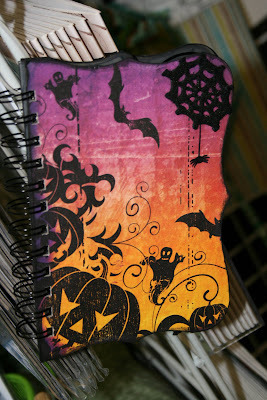 I also have a Halloween kit put together using Teresa Collin's 8 x 8 double-sided paper. All of these kits are in very limited supply, so be sure to stop by the booth early. It won't be tough to find us... we are are right in the front as you walk into the Expo hall! 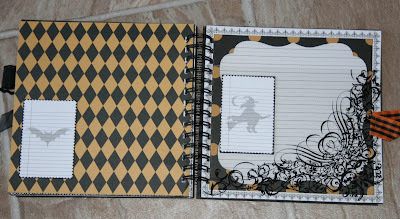 I still have handful of seats available in my classes, the "Good and Girly" and "Boys 2 Men" 6 x 6 acrylic album classes. 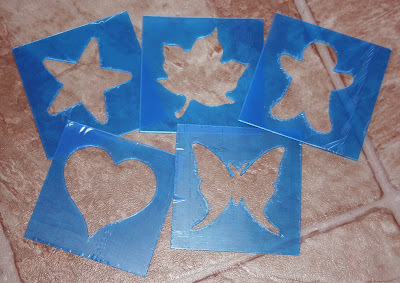 If you are interested in Acrylic and the Bind-it-All machine, these are classes for you! While preregistration is over, you can still purchase tickets at the event, while seats are left. Just stop by the info desk in the lobby. I am looking forward to seeing my scrappy SoCal friends this weekend... be sure to stop by the booth to say hi! I've missed you guys! 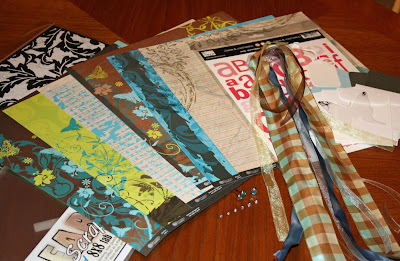 As for earlier this week, I had two great classes ... my last two at stores in SoCal for 2008. :( Scrapbooking Heaven and Scrapbook Boulevard were kind enough to host me Tuesday and Wednesday evenings, respectively. The "students" all seemed to have fun and go home with new skills (and cute projects!). Several stores have already booked me for February when I am out in SoCal again, so be sure to watch this blog for details! ...Tonight I had my first of three classes in a row this week. I taught the interactive perpetual calendar project called "Today is..." to a lovely bunch of ladies, including my own K2R Design Krew member Erin! The class was at The Scrappin' Table in Placentia, where store owner Michelle is always friendly and on top of the latest and greatest scrappy trends. I always enjoy her store. 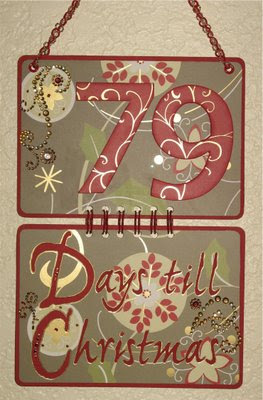 And Erin will be teaching her "Countdown to Christmas" metal project (the one on the K2R Krew blog) as a class at the Desert Scrappers Weekend Retreat in November. 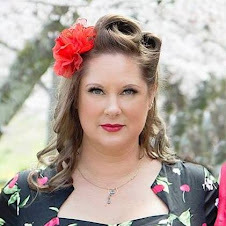 So, if you are planning to go to the Palm Desert, Calif., crop, you will definitely want to take her class! 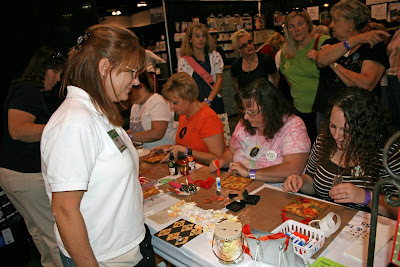 Tomorrow night I will be in Westminster at Scrapbooking Heaven. Another fabulous pair of ladies and I am looking forward to see some familiar faces - and new ones - in the class! Krew Kit #8 to ship Oct. 28! 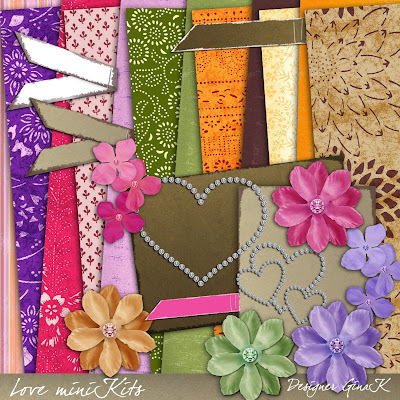 I know many of you have been waiting to see the new Kits2Remember Design Krew's first Krew Kit, so here it is! Krew Kit #8 is full of bright colors, butterfly images and flourish designs, making this a fabulous kit to scrap subjects like romance, girls' night out, gardening and more! Featuring seven double-sided papers from Sandylion's Rouge de Garance line, coordinating lace cardstock overlay, matching alpha stickers, butterfly-shaped mini-transparency, bling brads, rhinestones, a 6x6 UNdrilled Clear Scraps album, three yards of ribbon, coin envelopes and more. It's got a retail value of over $33! Project ideas will be posted to the K2R Krew blog this week, so be sure to stop by each day to see what new design the Krew has come up with for this kit. 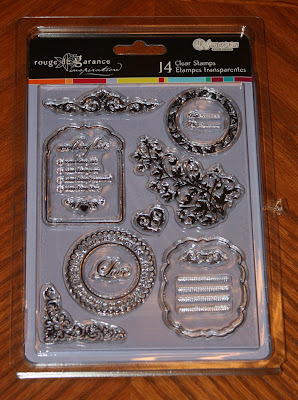 Matching clear stamps and rub-ons are also available and can be added on to your order. Orders placed will be filled on a first-come, first served basis and shipped Oct. 28. Order yours today! We've got less than 20 of them now available! I will also be at three SoCal stores this week teaching the "Today Is" wall calendar: The Scrappin' Table in Placentia, Scrapbooking Heaven in Westminster and Scrapbook Boulevard in Victorville. Log on to the K2R Calendar for details! ... I am exhausted, but wanted to get some photos up. A big thanks to my volunteers, of course: Kara, Amanda, Debbie, Stephanie and Lisa. You guys were awesome. And, of course, to my Mom, Nancy, who was a lifesaver at least five times a day. 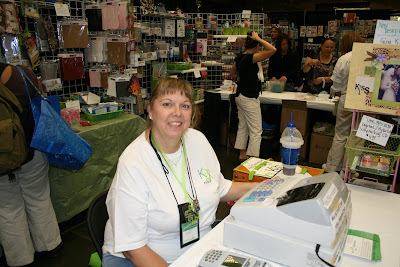 Here's a photo of Mom at her "station" - the cash register. And of Stephanie conducting the make and take. 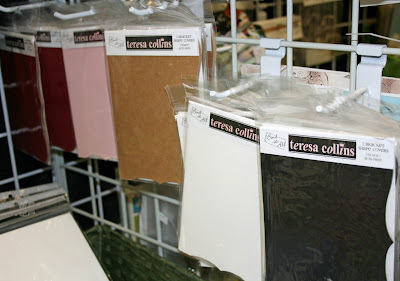 I have some of the new Teresa Colling bracket albums, both small and large. 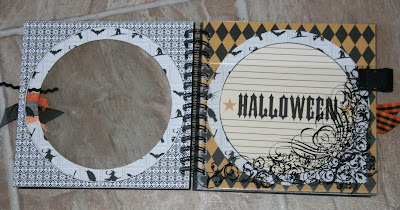 I used a pair of the small ones for a halloween album and a pair of large ones to make a magnetic message board. 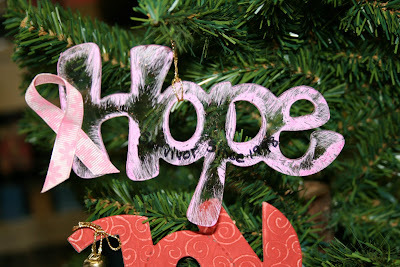 Here are some new ornament ideas, too, created from acrylic and Grungeboard. All of these products will be available at the Ontario Expo next weekend, and then on the K2R web site by the end of the month. So, now, off to bed. G'night! 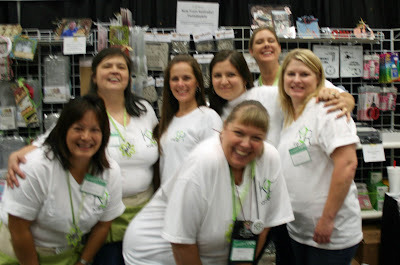 As they always do, today's Scrapbook Expo went by in a blur. Everyone here has been so kind and gracious, especially in the two classes I taught today. 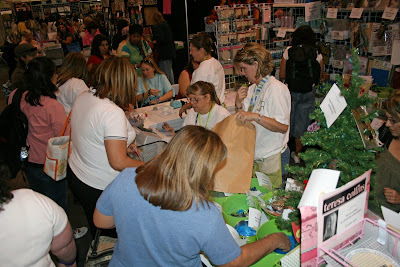 Everyone seemed to enjoy playing with the Bind-it-All and acrylic and our make and take table was almost always busy! And my volunteer Krew - I couldn't have done it without them! Today Monica, Inez, Casey, Gayle and Janet were awesome. I got so many compliments on how helpful and friendly they were. Thanks guys! We all managed to drop everything for about 45 seconds to get this quick photo. 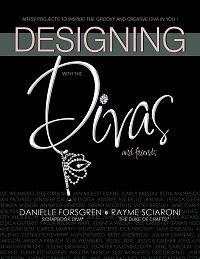 I am excited to announce that yours truly will be featured in the soon-to-be-published Diva Craft Lounge's idea book "Designing with the Divas!" Some of you may be familiar with Diva Danielle and Rayme Royal's weekly Internet radio show. They've now brought together a couple dozen designers to create beautiful, innovative and elegant projects never before seen - or explained! 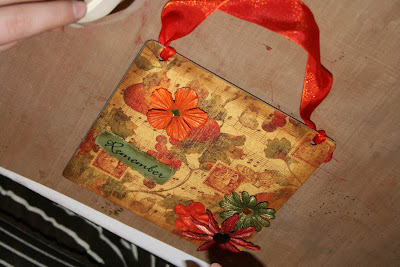 The projects will come with photos, instructions and helpful hints so you can recreate them at home. The book will be available Dec. 1, cost $19.95, and will be available here online on the K2R website. Can't wait the long to get a sneak peek? How about a sneak sound bite? There will be a Diva Craft Lounge episode introducing this rare gem of a book (57 different project ideas! Wow!) on Nov. 12 at noon Pacific Time. 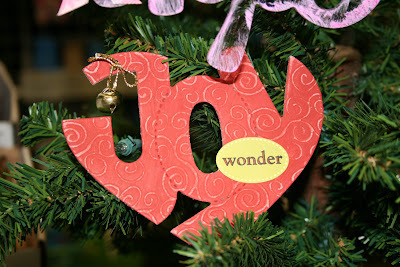 Just log on to the Diva Craft Lounge web site to find out more! Post to the K2R Message Board and win! Who wants five 6 x 6 acrylic panels? How 'bout five 6 x 6 chipboard sheets? And five 6 x 6 metal panels? They could all be yours! One lucky poster will win it all by posting to the Kits2Remember message board between now and Friday, Oct. 24. The winning post will be chosen randomly and sent out the collection of Klear and Raw goods! Start posting now! 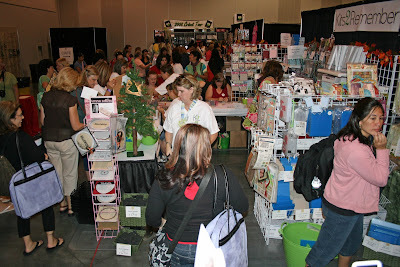 My Mom and I drove up I-5 today, an eight hour trek north to Sacramento for the Scrapbook Expo here this weekend. Fortunately, it was an uneventful drive and I am now relaxing in my favorite fuzzy green socks, sipping flavored water. 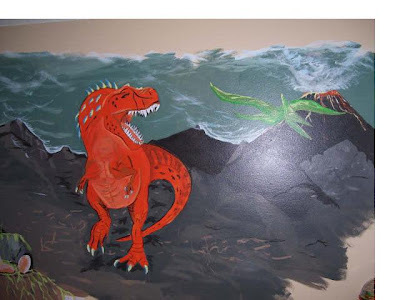 Before the whirlwind of the Expo entangles me, I did want to blog about a few things. 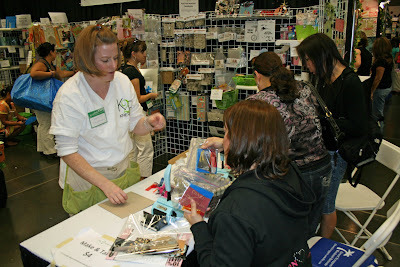 First off, I forgot to thank my Scrapfest volunteers in my last blog - oops! So, a huge thank you to Kathi, Andrea and Jenn. Without you guys it wouldn't have gone nearly as smooth. Thank you and see you all at the Ontario Expo! 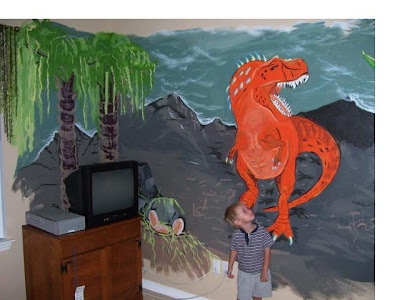 You can see more on the Krew blog. 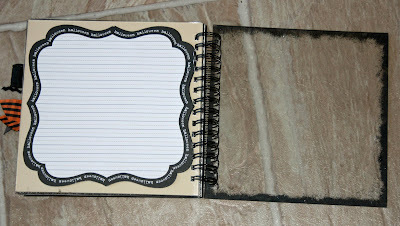 I will also have some new stuff to be used with the metal, like magnetic Bazzill-covered frames. 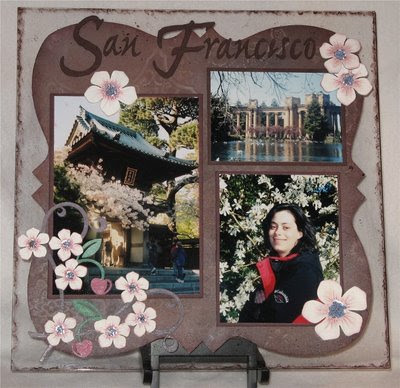 And I have dabbled in digital/hybrid scrapbooking by carrying a CD collection of paper and embellishments on CD, created by new designer Gina K. Here a sampling of her collection. I love the visual texture of the flowers and the heart-shaped virtual bling! Monday I had a class at Ever After's new location in Vista. Wow! Any of you heading over in preparation for the Survivor Crop this weekend are in for a treat! The store looks fabulous and they've been there only six weeks. I love the color (green!) and the black accents and classy fixtures and decorations make it a warm, fun place to walk in to. The students were sweet and seemed to have a good time. 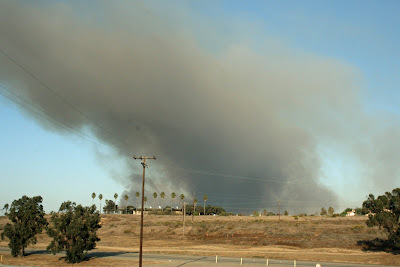 The only bummer was the nearby Camp Pendleton fire. I saw it as I drove south on I-5 to the store, but one of the ladies signed up for the class couldn't come because her home was very close to the fire line. Yikes! I hope everything turned out OK! There are dozens of fires all over California right now, as "fire season" kicks off in a flurry. Best wishes to everyone affected. Yesterday was errands and Expo prep day for me: Bank, lunch with colleagues, mani/pedi, make new samples for the booth (there is a message board using the metal and Teresa Collins bracket-shaped covers I think is a lot of fun), can't remember what else, to get ready for the Sacramento Expo. 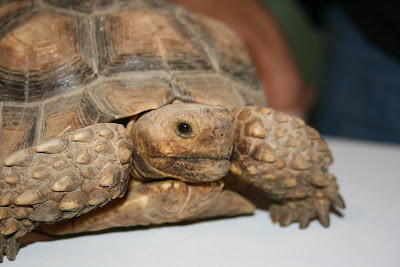 Oh, and I took some time to be mindlessly entertained by my (parents) tortoises. "Parents" is in parentheses because these 45-pound reptiles were actually mine before I gave them up to my parents due to my many moves. 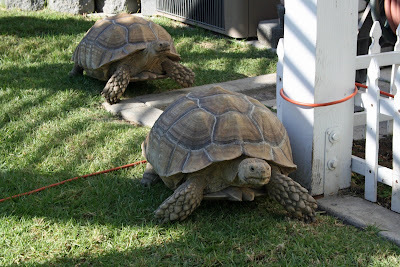 They are Sulcata, or African Spur-Thigh, tortoises and I've had them since 2001 when I got them from the then-mayor of Yuma, AZ, who bred them. They were about the size of nectarines then. Now they are big enough for a toddler to ride. 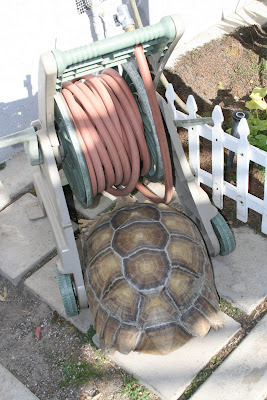 They keep trying to walk under the hose holder and get stuck, taking the hose holder with them as far as the connected hose will let them. Then you have to rescue the not-so-pint-sized bulldozers. They are too strong for their own good, they think nothing of shoving small potted trees and barbecues out of their way, and have big appetites for fruits and veggies, especially for strawberries and tomatoes... anything red. So you have to watch your toes if they happened to have bright red toenails from a recent pedicure! A sidenote: My DH called while I was blogging, and it reminded me to mention putting "ICE" in your cell phones. Of course, this has nothing to do with your freezer. These are "In Case of Emergency" numbers so that emergency personnel can contact your loved ones quickly if you are ever in trouble. For example, I have my husband's and parents' numbers programed into my phone with "ICE" before their names. Some of us have dozens, even hundreds, of numbers in our cell phonebooks and it may not be obvious who your closest relatives are. It's just a good idea, especially for your kids' phones. I'm off to bed now, a long day ahead of me tomorrow, setting up the booth, so goodnight, and I look forward to seeing some of you at the Sacramento Scrapbook Expo! Metal Mania, RAKs, Scrappin' in SoCal and more! Two coupons for upcoming events!